The average western diet contains about 50 grams of fructose from a variety of sources ranging from beneficial fibrous fruits to the more insidious sugar-sweetened beverages, soda and juice. 50 grams of fructose. 2 1/2 cans of Coca-Cola. Even the very high end of fructose intake rarely exceeds ~85 grams, which is still < 20%. My point? This is nowhere near the 60% used in mouse diet studies. Disclaimer: I think fructose causes leptin resistance because of data from such studies. 60% fructose is the fructose that causes leptin resistance and increased susceptibility to obesity. What does this say about “normal” levels of fructose intake? Toxic doses cause leptin resistance and obesity susceptibility in mice, well, because they’re toxic, and fructose toxicity just so happens to manifest like that (in mice). 60% is toxic. 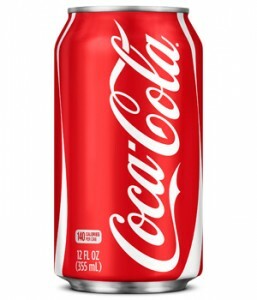 15 cans of Coca-Cola per day (depending on who’s counting); but is it relevant? In mouse studies, toxic doses are used for practical reasons- it’s cheap. The animals can be rendered leptin resistant, glucose intolerant, and susceptible to obesity within a few months of feeding this expensive purified synthetic diet. This probably (probably) takes over 100 times longer in humans simply because it’s nearly impossible for humans to ingest mouse-toxic-levels of fructose. 60% fructose x 12 kcal/d = 7.2 kcal. Divided by 4 kcal/g = 1.8 grams per day. 1.8 grams for a 40 g mouse = 45 g/kg. For a 70 kg (154 lb) human = 3,150 grams of fructose or roughly 12,600 kcal. I.e., 150 cans of soda or about a week’s worth of calories. In other words, you’d have to eat a hypercaloric fructose-only diet for months. 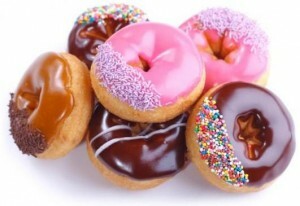 60% fructose x 2,000 kcal/d = 300 grams = 15 cans of soda or doughnuts per day. News flash: that’s gross, but it won’t kill you. How about just lowering your lifetime sugar exposure. 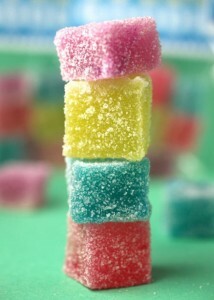 39 grams of sugar is worse than 0.01 grams of stevia or sucralose . Anyone remember “water?” Even if you believe “a calorie is a calorie,” exclusively, it’s still really hard to burn off 39 grams of sugar. Try running 2 miles. Skinny kids might do this automatically after drinking a can of soda or eating a doughnut. Not most adults. Don’t play in traffic either. This entry was posted in Advanced nutrition, empty calories, Energy balance, Exercise, Fructose, Sugar, Uncategorized and tagged fructose, leptin, sucrose, sugar. Bookmark the permalink.